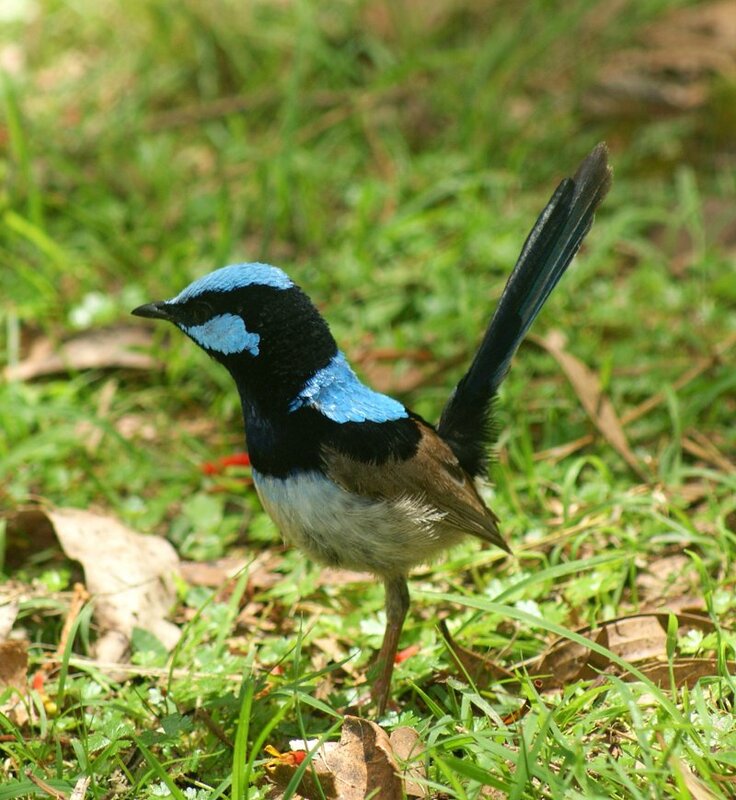 Fairy-wrens are one of the most recognisable bird families in Australia - the males of several species have iredescent blue plumage on all or part of them. 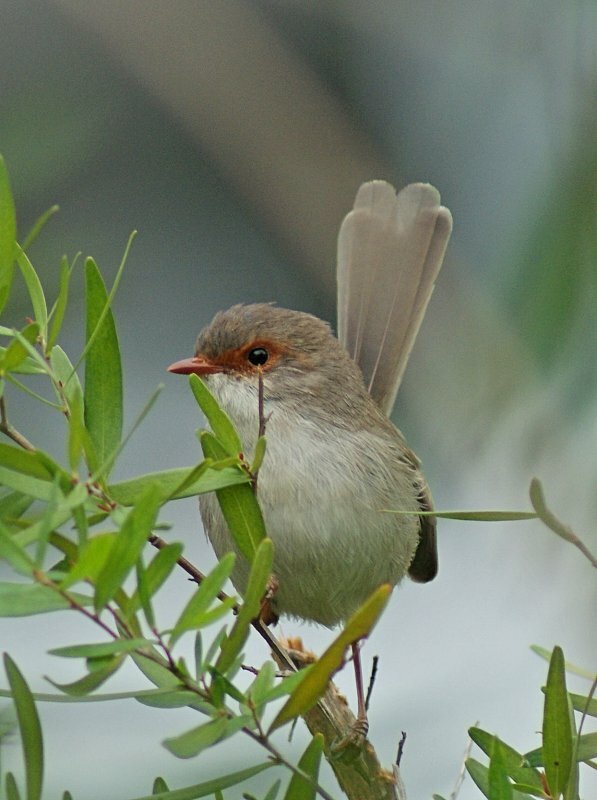 They are small birds, around 14cm in length, a good proportion of which is the tail and they weigh only 10 grams. 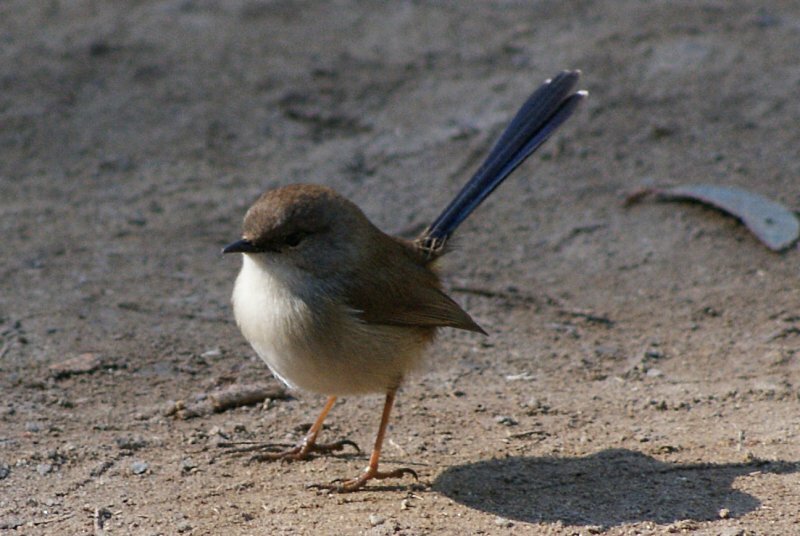 In Sydney, the most common species is the Superb Fairy-wren (the other being the Variegated Fairy-wren). They move in family groups, usually one male and several females and juveiles, and forage for insects in trees and bushes and sometimes on the ground. The song is a high-pitched squeaky trill. 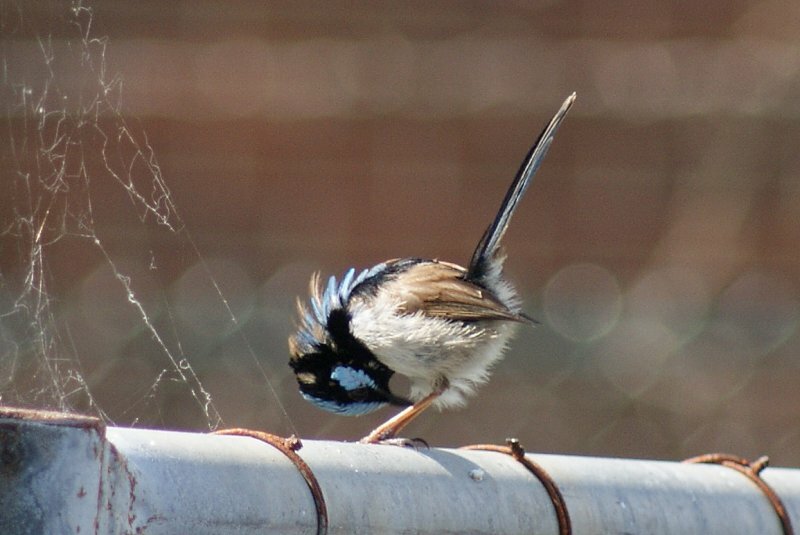 The first photo is an adult male while the second is a male coming into its breeding plumage. 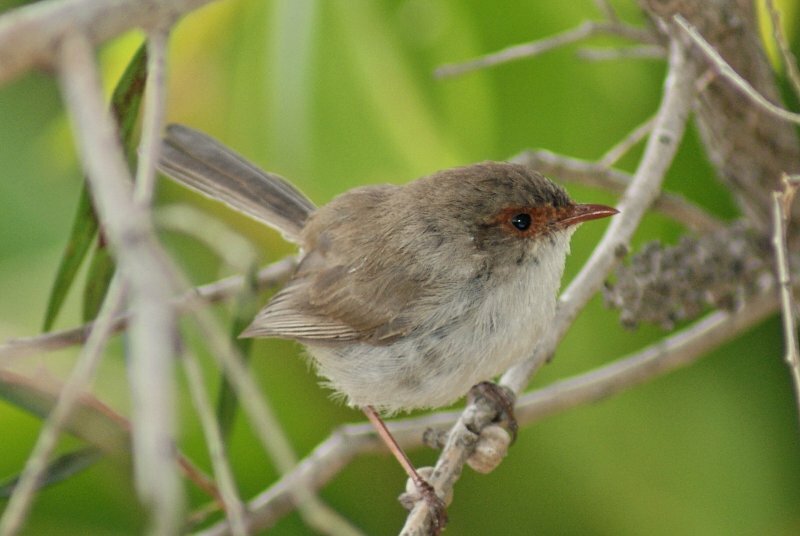 The third bird is an immature male, while the last is a female, which has a red eye-ring. 1: Gloucester Tops, NSW, 27/10/2010. 2: Bicentennial Park, NSW, 20/09/2010. 3: Wheeny Creek campground, Wollemi NP, NSW, 20/06/2010.